Data & Society > our work > blog posts > Is Social Media Responsible for Tyshawn Lee’s Death? Is Social Media Responsible for Tyshawn Lee’s Death? It is well known that gang violence is a serious public health problem, particularly in Chicago, Illinois, where it has claimed over 400 murders and 2,674 shooting victims so far this year. What is less well known is that gang-involved youth rely on social networking sites like Twitter to communicate with friends and rival gangs. 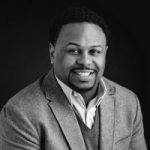 D&S affiliate Desmond Patton is currently researching the use of social media by gang involved youth in Chicago. In this post on Medium, he discusses some of the preliminary findings from this research that reveal the ways that online messages of violence escalate into real-world violence. Find out more at Medium.